Okay, I admit it: I read reddit. Frequently. Maybe a bit too frequently. I’ve been doing so for a while now, and even started posting. I think it’s a great way to get a feel for the community and the problems people in it have. Here’s what I think are the three largest problems that come up again and again (and maybe how to attack them). This happens so often. So many good games are out of print, yet eagerly awaited by fans. Just look at the reaction to the Sherlock Holmes Consulting Detective reprints, or Container, or Stone Age, Concordia, Scythe, Le Havre, Terraforming Mars, Food Chain Magnate, or of course Glory to Rome. All of these are out of print, or have been out of print or will be out of print forever because of rights problems. Why is that? Obviously people are clamoring to find copies, with Glory to Rome frequently going for $150 or $200 on ebay. Of course, reprinting is a costly thing, like any production of anything. But it shouldn’t really be that hard, right? I’m saying this out of the naivety of my not-yet-produced state. But all the files are there. All the suppliers are (probably) there. Just put up a Kickstarter and as soon as the necessary amount is reached, start the presses! Or someone creates a really good print-n-play company that can make production-quality copies of a game (at a premium, of course), so enthusiasts can buy between print runs. Again: Easier said than done. And then some of them are getting reprints, some of them aren’t — but it’s really hard to find out which it is, and when. How do we attack this? I imagine a site where, first of all, the status is listed. This is hard already, but not impossible. The wisdom of the crowds produced Wikipedia, we’ll be able to produce a list of games, won’t we? That site could then also be used to indicate to the publishers where there’s interest in reprints. So, win/win? Anyone want to code something up with me? Every game has so many editions, sometimes with different availabilities and different errata. Some games that should be completely language independent still have language versions. Others only have one version but that’s not available everywhere. It’s the source of many discussions. Obviously, there’s not really a solution here. One thing we will try to do with our game is keep the amount of editions to a minimum. That means making all the cards language-neutral (we’ll keep them in Latin), and just supply manuals in all the languages. It’s a slight cost add, but I think it’s worth it to make each copy international. The final and hardest problem: WSIG. The simplest sound. Four letters. What should I get? By my guess scientifically accurate statistics, this is about half the posts on /r/boardgames. The community is very helpful and there are usually a great number of suggestions, but the raw amount of people asking this hints at a problem, or a market. There are so many recommender systems out there, but for board games they either seem not to work or not to exist. 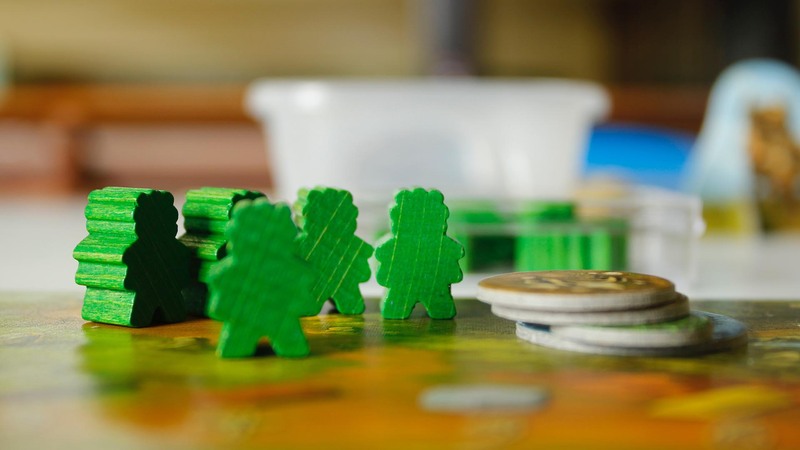 So, these are issues for board gamers, I identified and some of them might have solutions. Let’s try to find them!